Your friends follow what you have to say. Roughly translated, that’s what a local prophet said about Ellen Johnson when she was born in Liberia in October, 1938. Those words were repeated in praise and in sarcasm as Johnson grew up, but no one had any idea then how right the man would be. Though illiteracy was very common in Liberia, Johnson’s parents strove to educate their children in a manner befitting their upper-class status. Johnson expected to go to Europe for college but when her father fell ill, she knew that college would no longer be possible. Instead, she married Doc Sirleaf, a man several years her senior. The babies started coming almost immediately; shortly after their fourth son was born, Sirleaf and her husband seized an opportunity to go to America, to Wisconsin for college. Leaving her children was difficult for Sirleaf, but it wouldn’t be the last time. It would, however, be a few years before she’d leave her abusive husband. By then, she was working for Liberia’s Treasury Department and it was obvious that there were problems. Politically and socially, things had been shaky for some time, in part because of a two-tiered society that wasn’t functional anymore. Sirleaf attempted to continue working in-place but her connection to Liberia’s controversial president Tolbert made her vulnerable, so she applied for a job in America with the World Bank. It, and that she was a native Liberian, probably ultimately saved her life. In 1980, following the government’s overthrow and Tolbert’s murder, Sirleaf continued being vigilant while working for the new President as well as for World Bank. She knew she could do more if she stayed in-country during Liberia’s civil war, but her eventual outspokenness was consequently perilous: for her rebellious actions, she was jailed in 1985, which outraged the country’s market-women. They helped get her released. It would be two decades before they’d get her elected. Whew. Reading “Madame President” very well could wring you out. Starting with birth and a basic history of Liberia, author Helene Cooper takes us through a half-century of turmoil with a woman that, considering what surrounded her, possessed grit and guts. 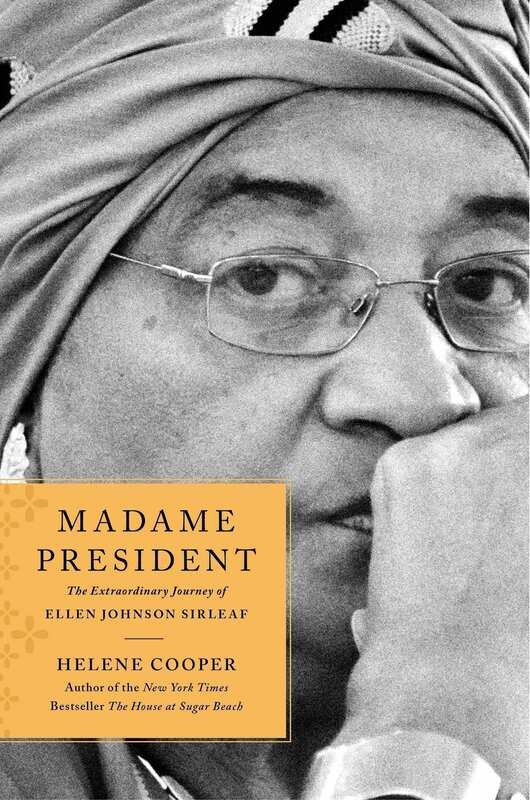 Cooper tells Sirleaf’s story as one that’s triumphant but also brutal and raw, with violence in a little too much gruesome detail; still, despite that those parts are uncomfortable to read, they inherently tell readers more about who Sirleaf is and why her Presidency is so remarkable. Though you’ll cringe often when reading this, it’s a book that’ll make you want to cheer, too. World history buffs will truly enjoy “Madame President,” as will fans of international politics and women’s issues. And if that’s you, then it follows that you’ll love it, too.